Apples picked this morning were on today’s menu here in Southfields as well as a kiwi picked three days ago in Wimbledon. We compared it to a kiwi purchased in the trade. 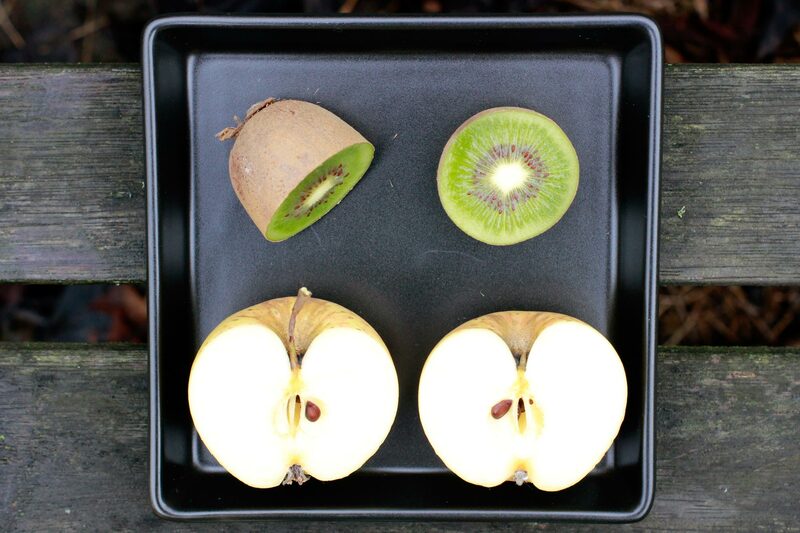 Kiwi picked in Wimbledon on 2nd Jan. Apple picked today in Southfields. The kiwis have grown since I took a picture of them for the blog banner. They are still half the size of a large kiwi bought in the UK trade and I was not sure whether the one I picked on Thursday would be ripe or even edible at all. 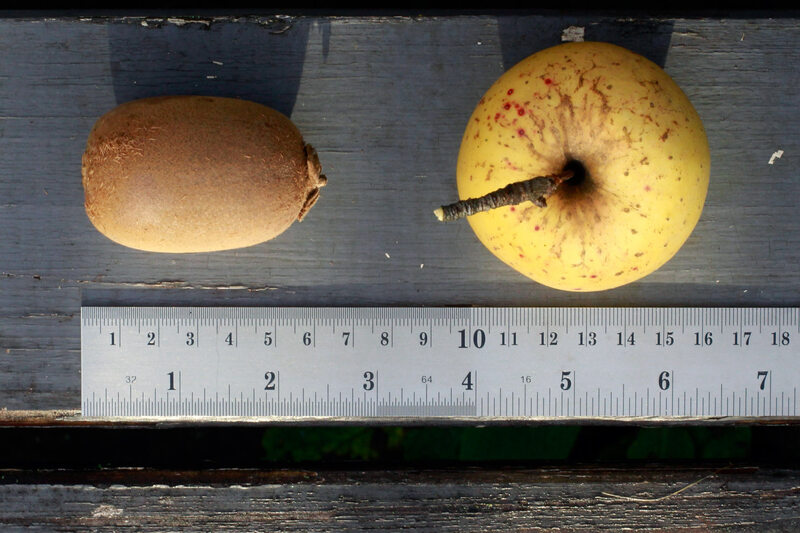 The apple is of the calibre of the small apples we find in bags of five or ten in UK supermarkets during the autumn. Lovely kiwi colour, with slightly red seeds. Is it completely ripe? The inside of the apple is perfect. Click on image to enlarge. This entry was posted in Stories and tagged Apples, Kiwis, Southfields, UK, Wimbledon by Les Jardins d'ici. Bookmark the permalink.